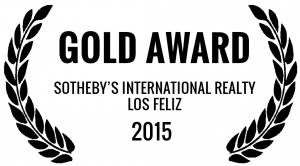 Search Glassell Park Real Estate For Sale. 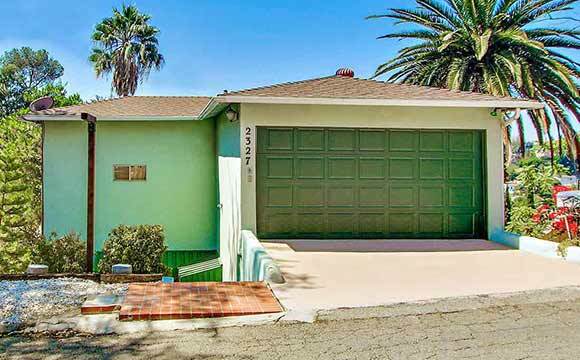 Browse photos, see new properties, search for houses, condos, and multi-family properties for sale in Glassell Park, Ca 90065. Glassell Park is a charming neighborhood in Northeast Los Angeles, tucked in between the hills of Mt Washington, Highland Park, and Eagle Rock. 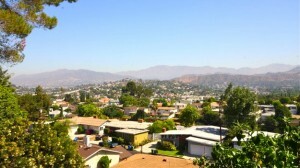 A neighborhood with a rich history of rail and baking factories, Glassell Park has been experiencing gentrification from trendy hipsters and middle-class families who have moved from nearby Silver Lake and Los Feliz attracted to the abundance of craftsman homes, breathing room, and relatively lower Glassell Park Real Estate prices. Glassell Park is bordered on the north by Glendale, on the northeast and east by Eagle Rock, on the southeast by Mount Washington, on the south and southwest by Elysian Valley and on the west by Atwater Village. The main thoroughfare is San Fernando Road, which traverses along the entire southwest. This stretch is primarily lined with muffler and auto repair shops and factories. Take a turn and travel north to get into the windy roads that lead into the hilly neighborhood. York Boulevard is another main street which has experienced new commercial and pop-up shop activity in the last few years, in addition to Fletcher Drive, one cannot forget Eagle Rock Boulevard (although still pretty quiet at this end). Glassell Park and the Glassell Park Real Estate is still purchased largely by working class, Latino, white, and Filipinos. A rise in population dramatically impacted the relatively hilly neighborhood by the housing boom of the early 2000s. Most of the population lives in rental housing, and middle-class residents have been attracted there by the abundance of historic homes at relatively inexpensive prices. One could say that the introduction of the Rio de Los Angeles State Park breathed new life into the area and is the crown jewel of the community and the struggle to revitalize the river. The park provides numerous activities for the bustling neighborhood, and an afternoon stroll here offers a sense of community pride – fútbol (because that’s exactly how you say it around here) leagues of all ages, packed children’s playgrounds, ice cream vendors, moms with strollers walking along the river path, and locals simply enjoying the view under a shading tree. Another location where one can observe (especially on a weekend!) 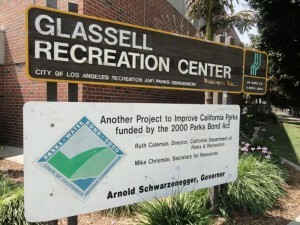 the close-knit feel and community sense of pride are the Glassell Park Recreation Center and Youth Center, which includes an indoor gym, baseball fields, outdoor pools, tennis courts, and senior service center. The neighborhood remains relatively quiet, even with the arrival of new residents. 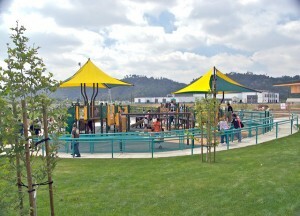 Visitors come from across the region to enjoy the various parks and creation activities, including the Rio De Los Angeles State Park, which was opened on a former portion of Taylor Yard in 2007. The impressive park grounds include sports fields and restored wetlands. 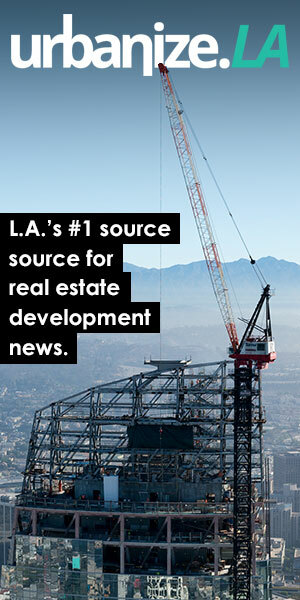 The remaining part of Taylor Yard ‘s 100 Hectare Property — the largest undeveloped parcel along the Los Angeles River – is currently undergoing restoration and inclusion in the planned Riverfront District, which extends from Piggyback Yard in Lincoln Heights to Atwater Village and Glendale. This is a community connected to the city with a neighborhood feel. And although some might see Glassell Park as the gateway to the larger neighboring areas, it has an identity of its own, and the word is out. Many small factories sprang up around the old railroad tracks, which for some time have been repurposed, often as recording studios, under-the-radar art spaces, and various art workshops, including metal work, wood-shops, and other creative outlets. Recently, dance studios and performing art spaces have also been introduced. There is definitely an art buzz around the Glassell Park neighborhood – just head to the local eco pop-up shops or Pottery Company to interact with local artists. In early 2013, a local artist installed large letters spelling “Glassell Land” in the vacant hills above the Glassell Park Recreation Center. 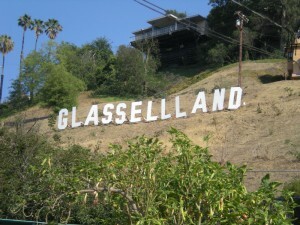 The name “Glassell Land” is a reference to “Hollywood Land”—a real estate development whose promotional sign still stands as the famous Hollywood Sign. Being a largely Latino community, local shops feature traditional foods and products, from meat cuts and produce to pop-up taco stands serving up some of the best tacos the Eastside has to offer. Did someone say taco truck?! 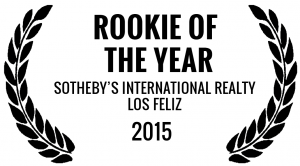 We’re there! 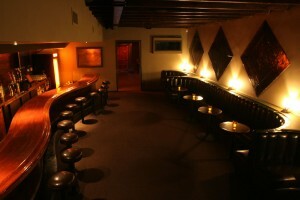 The popular (and only) bar, The Verdugo Bar, attracts locals and people curious to explore hidden gems in these parts. Beer pong anyone? The Verdugo has occasional DJs and — in an apparent appeal to adults — a rotating beer selection and nice beer garden. Aspiring pool sharks can amuse themselves at Green Room Billiard. There’s also just one nightclub in Glassell Park, Los Candiles Night Club, which hosts’ weekly drag and impersonation music shows. Don’t forget your dancing shoes – you’re in for a fun night or maybe a shocker, ether way good times! Glassell Park Architecture and Glassell Park Real Estate is very diverse with an eclectic mix of styles that has made Glassell Park a unique area of Los Angeles. 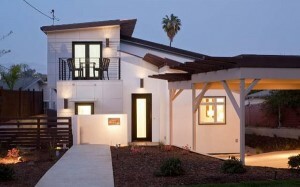 While the neighborhood boasts many early 20th century Craftsman style homes, there are also examples of mid-century modern properties and newer eco-friendly sustainable architecture popping up all over. 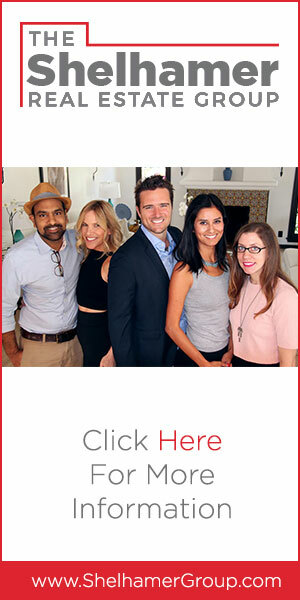 As well, Glassell Park Real Estate has been on the rise as a hot spot Eastside destination for first-time buyers, Los Angeles hipsters, and young professionals working in Downtown Los Angeles. Glassell Park is estimated to be one of the fastest growing Los Angeles Eastside neighborhoods in 2016. The land that would later become Glassell Park was originally part of Rancho San Rafael, granted in 1784 to Spanish army corporal José María Verdugo. Attorney Andrew Glassell received part of Rancho San Rafael and was a prominent attorney. Glassell eventually settled in the area with his family, for whom many streets, including Toland Way, Drew, Andrita and Marguarite Streets are named. Glassell’s biggest undertaking was about 30 miles south, though. He and a colleague named Alfred Chapman founded the town of Orange, California — Glassell Street in Orange’s downtown is named for him. The development of Glassell Park began in the early 20th Century, as subdivisions between Verdugo and San Fernando Roads began to be sold in 1907. The theme park-like graveyard that’s Forest Lawn Cemetery was established in neighboring Glendale in 1906. During the Great Depression, however, it expanded into Glassell Park when the Glassell family sold 62 acres of their land. Acacia, Babyland, Commemoration, The Court of Freedom, The Forest Lawn Labyrinth, The Great Mausoleum, The Haven of Peace, Lullabyland, Rest Haven, Victory, and other areas of Forest Lawn are all located within Glassell Park. Believe it or not, the first big attraction of note in Glassell Park was the three hectare Los Angeles Pigeon Farm, built on the banks of the Los Angeles River. Although today frequently disparaged as “rats with wings,” the Pigeon Ranch (as it was also known) soon became one of Los Angeles’s premier tourist attractions. The growing neighborhood was served by a line of the Los Angeles Railway, which traveled in the median of Eagle Rock Boulevard towards Eagle Rock. In 1923 Southern Pacific established their Taylor Yard rail yard in Glassell Park to relieve pressure on Downtown’s busy River Station and Midway yards. 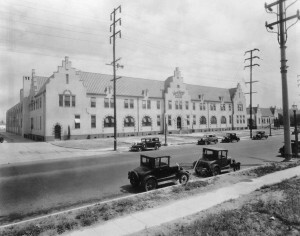 The area has long been an important baking district in Los Angeles, (once known as the ‘breadbasket’ of Los Angeles) going back at least to the 1870s, when many German-American bakers operated out of Lincoln Heights and other Eastside neighborhoods, and thanks to the locational advantage of flour deliveries by rail. Today there are still several bakeries and related factories operating (or still standing, at least) clustered around Glassell Park. The beautiful Dutch Colonial Revival Van de Kamp Bakery was designed by J. Edward Hopkins. It was built in 1930 but closed in 1990 and is now home to the LACCD Van de Kamp — International Education and Workforce Development Innovation Center. 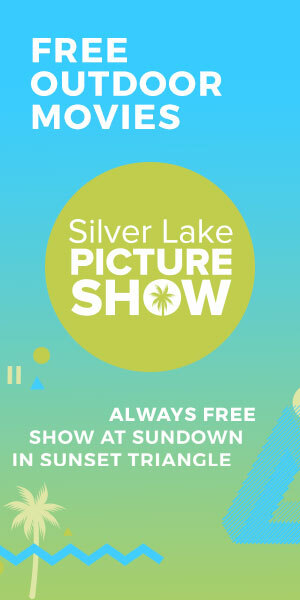 There is also Action Cookies, Auntie Dee’s Pan De Manila, Bender Baking Co, France Bakery, Mardy’s Munchies, Sweet Tooth Bakery, Tortilleria La California, and Triple Star Bakery.